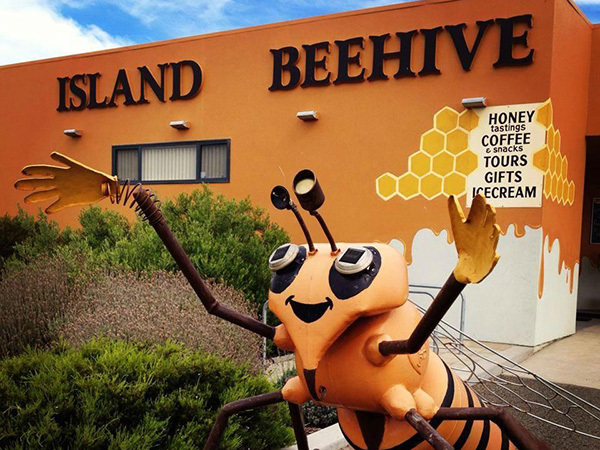 There are so many things to do on Kangaroo Island and our accommodation is ideally situated to make the most of them. Our properties are located on the Dudley Peninsula, right on the shores of Eastern Cove. Both properties are literally steps down to Brown’s Beach, which like many on the north side of the island are calm and protected waters. This makes them ideal for kids or for taking the boat out for a leisurely fishing expedition. Dudley Peninsula is also home to the Cape Willoughby Lighthouse which is well worth a trip, and pop into the Zest and Thyme cafe whilst there for a snack and great views. Kingscote, is the main town, and about 30min drive from our accommodation. From here there are a number of activities on the American River including diving tours, kayaking, fishing charters and the Island Beehive where you can see the pure Ligurian bees in action. For some fun out on the water there are plenty of options. 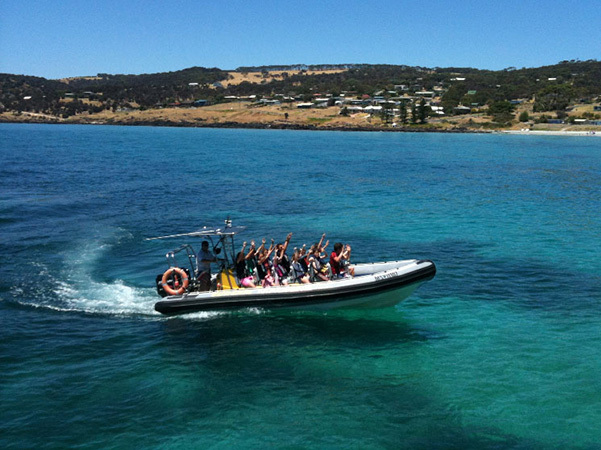 The highly regarded Kangaroo Island Ocean Safari tour is fun for the whole family and guarantees you’ll get up close to seals and dolphins and other animals including whales, eagles. 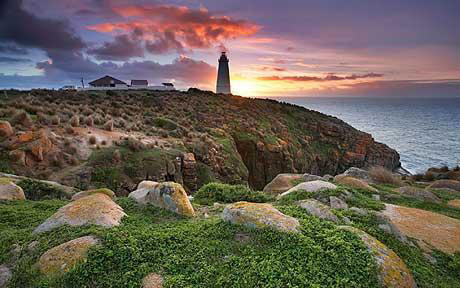 If you wish to venture a bit further afield than the local area there are plenty of things to do on kangaroo island to keep the whole family engaged. You could follow self guided tours which take in the famous honey producers, wineries, lavender farm and sheep’s milk cheese. Or if beaches are your thing then Vivonne Bay, a former Best Beach in Australia, might be worth a trip. 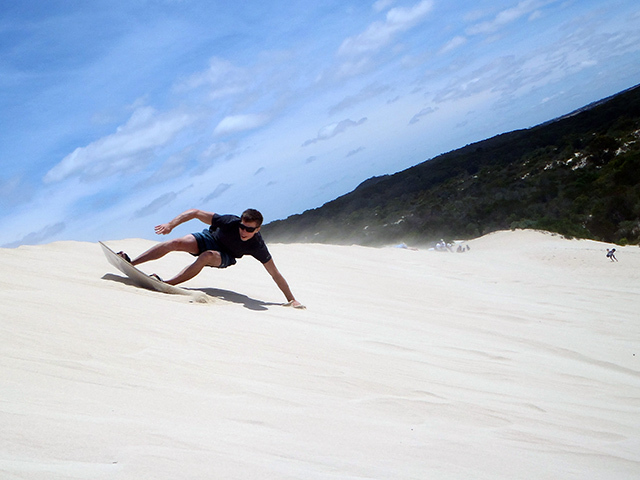 Little Sahara, at Vivonne Bay provides the opportunity for all ages to surfboard or bodyboard on the huge sanddunes. The natural world provides plenty to marvel at on Kangaroo Island and there are many places to visit to walk and be at one with nature or for the kids to get actively involved with the local fauna. For the more adventurous, quadbike tours might be your way to combine thrill seeking with the Kangaroo Island scenery and wildlife. 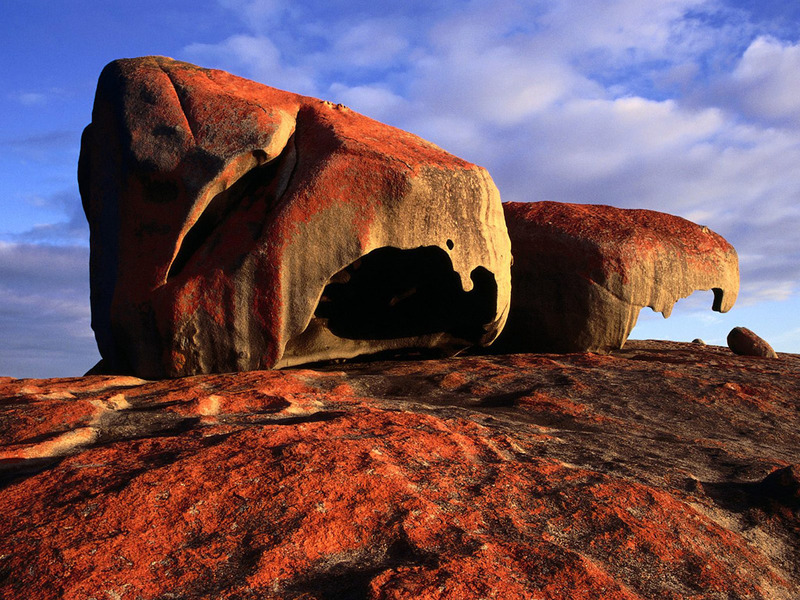 Tripadvisor’s number 1 thing to do on Kangaroo Island. Flinders Chase National Park is located on the western end of Kangaroo Island and is well worth the trip. The park includes plenty of walking trails with the opportunity to see kangaroos, koalas, wallabies and grey geese in the wild. There is a good information centre which is worth visiting on your way into the park (it tells you about what you’ll see) and comes complete with coffee shop. Park entry fees apply which are detailed on the Flinders Chase National Park website. Want to cuddle a kangaroo whilst on Kangaroo Island? Then Paul’s Place Wildlife Sanctuary is the place to go. Get up close and personal, hold and feed the wildlife in an intimate environment suitable for all ages. This is not your usual zoo or wildlife park and is run to allow the owners to continue caring for the animals. Visit the Paul’s Place website for opening times and more information. 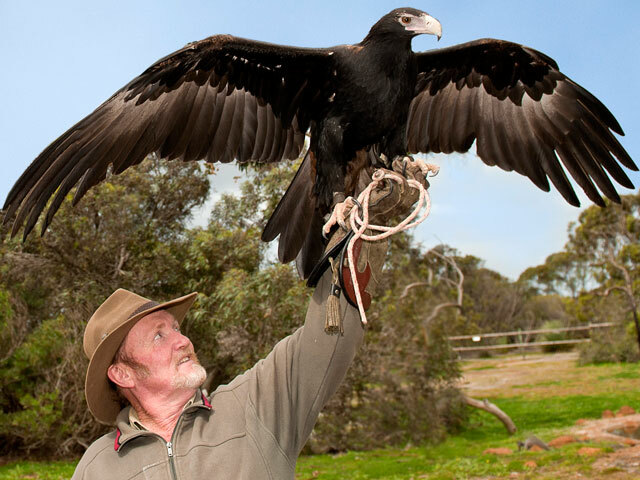 Experience birds of prey on Kangaroo Island! A great way to spend a few hours, these guys offer bird, reptile and the ominous sounding venom pit show each day. Animals aren’t on display but you get to see them up close and hold them during the shows. Some amazing flying from the birds of prey and a great way to learn more about all the animals they show. Check the Kangaroo Island Bird of Prey website for times and entry fees. Marron are Kangaroo Island’s prized freshwater crayfish – and they don’t come any fresher than from Andermel. Visitors can view marron up close in the holding tanks and learn about the farm. 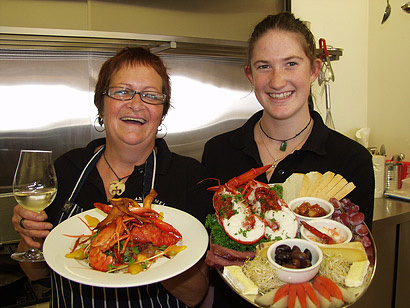 Located adjacent to Two Wheeler Creek Winery with a cellar door, the Marron Cafe is an ideal sopt to sample the freshest crayfish with homegrowm ‘bushtucker herbs’ washed down with wine made from the grapes grown on the property. You really can’t get shorter food miles than that! Check out the Andermel website for more about their history and cafe opening times. One of Kangaroo Island’s must do’s! Seal Bay is a 60-minute drive from Penneshaw. Learn about the amazing lives of these endangered animals as the experienced guides take you on a tour into the colony. 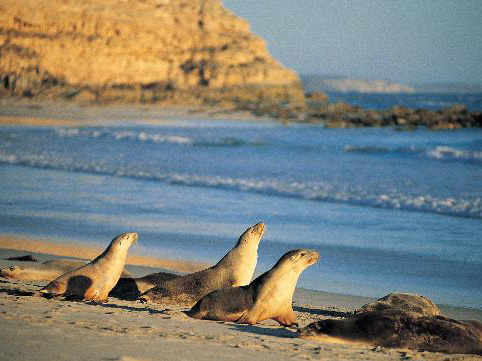 Beach access to the sea-lion colony is by guided tour only but sea-lions can also be seen from the self-guided boardwalk. Check out the Seal Bay Kangaroo Island website for more information.